This is a guest post written by Amanda Wilks, a writer, editor, veteran mountain biker. Is there anything quite as thrilling as cresting a hilly expanse of a beautiful stretch of country totally untouched by man, sprawling off into the horizon as far as the eyes can see? You’d be hard-pressed to name a more beautiful natural sight that can be enjoyed at your own pace and just keeps on giving for as long as you feel like exploring. Going for a mountain biking trip isn’t just great exercise: It’s a perfect way to see parts of the world both foreign and familiar in fresh new ways. Before you pack your bags and hop on a plane to a faraway land, you need to make sure that you’ve got a durable and reliable mountain bike which allows you to tackle any kind of terrain. Moreover, it’s always prudent to practice the basics of proper cycling form and stock up on gear you’ll need for your trip. A biking vacation isn’t quite like other outings where you can snag essentials on the trip without shelling out big bucks for what you might be missing. The importance of testing and familiarizing yourself with your bike, for instance, cannot be understated. Stopping a vacation short to repair a cycle isn’t fun for anyone. As with any bike trip you’ll also have to make sure you pack protective gear and season-appropriate clothing to keep you safe on your ride and avoid injury when away from your home and local support network. Managing your trip plans ahead of time can keep you on a proper schedule, GPS-capable gadgets are key for ensuring you don’t get lost in unfamiliar territory and it’s always better to be safe than sorry when it comes to bringing along spare supplies for your bike. Once you’ve sorted the necessities of a safe trip you might just find any one of these cycling destinations to be right up your alley. 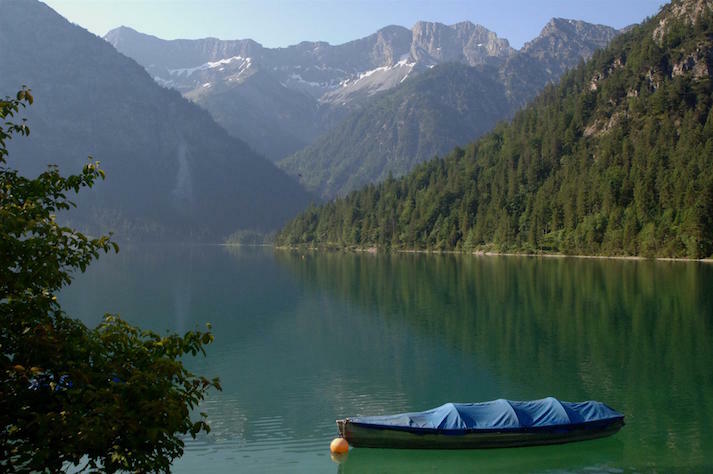 If you’re looking to start your biking adventure out amidst proper mountain trails with a variety of conditions and difficulties to overcome, taking a trip to the Tirol area of Austria is a wise move for seasoned and beginner bikers alike. For less than a hundred dollars you can ride over 1,000 kilometers of scenic trails broken up into smaller segments, meaning you’ll have more trail to ride than you could possibly squeeze into one vacation. Example: One of the toughest routes stretches for 75.8 kilometers, with 3,700 vertical meters! While the region is packed with places to mountain bike, consider Ischgl in the Paznaun Valley, which is considered heaven by mountain bike purists. It has over forty different routes, their difficulty ranging from easy to difficult. If you are an amateur mountain biker and want to take your hobby to the next level, this is the perfect place. Tired of bike trails that are actually double-wide roads with ATV and truck access that feel like an afterthought for mountain biking trips? Rodalben, an otherwise small town, is surrounded with bike trails that are primarily single-track and perfect for those looking for a more intimate, small-trail experience. 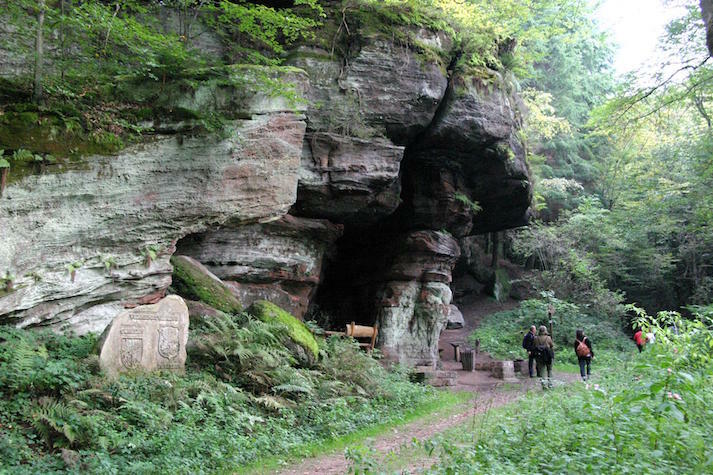 Don’t be fooled by the town’s size, though, as the Rodalben F Trail clocks in at around 40 kilometers and is one of the most often suggested trails to ride in Germany. This trail goes right through the forest, so be careful not to run into any hikers — and due to it’s length make sure you prepare yourself physically before tackling it. However, difficult as it might be, this particular trail is well marked, making it hard to get lost. Another one of its advantages is that the trails branch into several areas of interest, one of which will take you to town, so you can take a rest if the trail wears you down. If paying for expensive biking permits has you balking, look no further than New Zealand which can cater to budget bikers looking for a dramatic change of scenery. 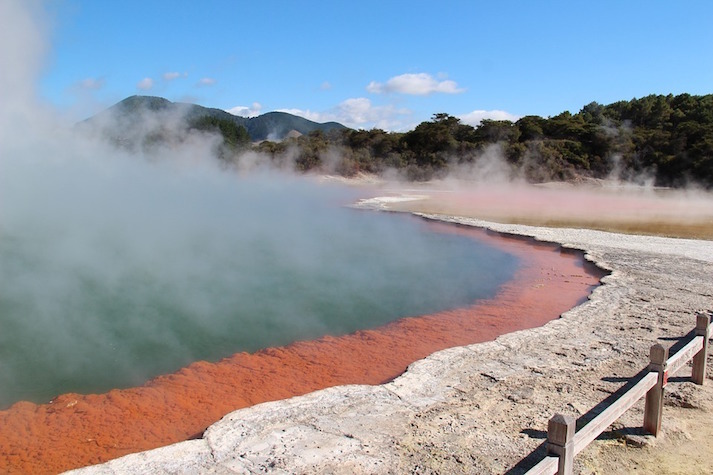 Nestled amidst the beautiful landscapes that have made New Zealand so famous, the trails of Rotorua offer diverse year-round entertainment for anyone with a modicum of riding skill and a desire to see one of the most beautiful countries in the world as it was meant to be seen — up close and personal. One of the oldest biking networks in New Zealand is located in Rotorua’s Whakarewarewa Forest. 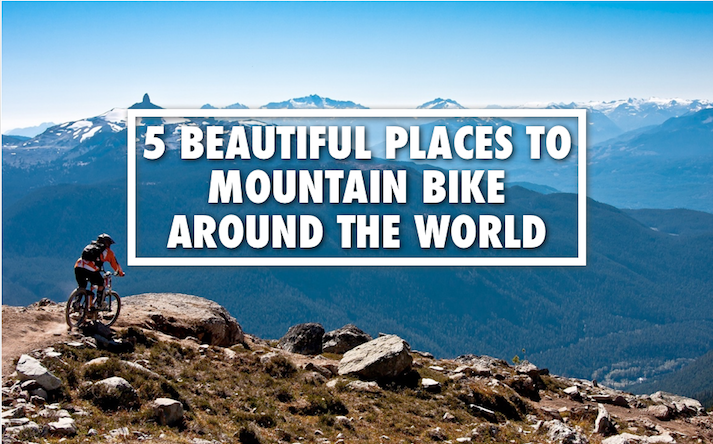 With geography that includes volcanic soils, sketchy riding surfaces and varying topography, it is one of the world’s most famous destinations for mountain biking enthusiasts. The network of trails also caters to all levels, from rookies to families and bikers looking for a challenge. And to help keep your mind off your burning muscles, there’ll be no shortage of picturesque views. For those craving single track, the Seven Summits Trail near Rossland has received more awards for its quality than nearly any other trail on this list. 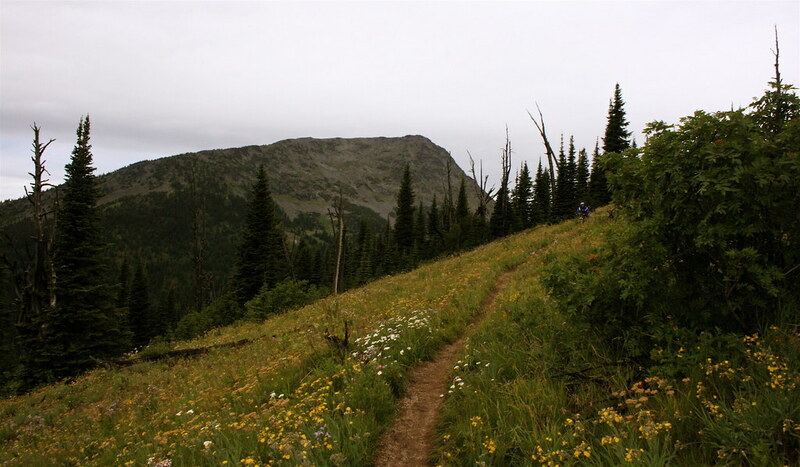 Perched in alpine territory with 30 kilometers of impressive trail to navigate, the Seven Summits Trail was constructed in 2004 by the Kootenay Columbia Trails Society and the is open to the public between July and the first snows of October. However, this particular trail is reserved only for experienced mountain bikers as it is remote, lacking water, and a large portion of it has no cell phone coverage. As a result, bikers must equip themselves properly with food, water and other basic necessities. Many biking enthusiasts consider it one of the most difficult trails in the world because it is long, technical and very physically demanding. The terrain alternates between long stretches of steep ground that has to be climbed, followed by short, adrenaline rushing descents, and geography that varies from mountain forests to sub-alpine meadows. Rounding out the list with an American entry is Moab, Utah. 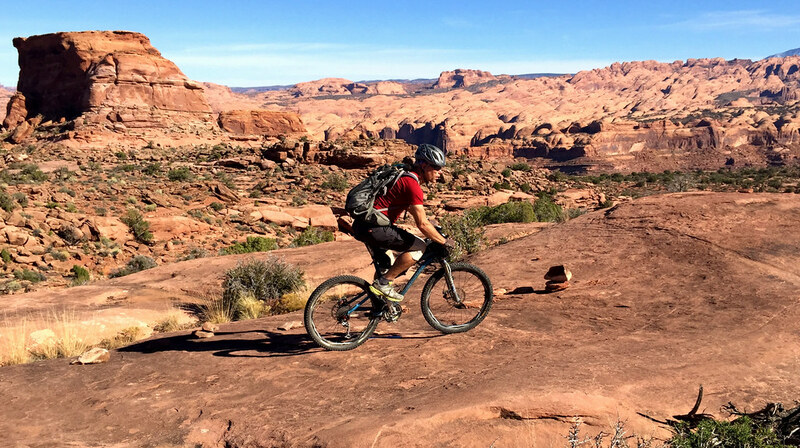 Host to no shortage of courses, picking just one area of Utah to suggest to a biking enthusiast is nearly impossible — but Moab is a great place to start if you have an interest in seeing what the United States has to offer. Slickrock alone is worth making the trip just to see what something as amazing as a petrified stretch of dunes can be like to ride. There’s not much out there that compares to this trails unique surface that gives bikers the grip necessary to climb mind-boggling inclines that would otherwise be impossible. Another good choice is the Amasa Back Area. It features brilliantly named trails such as Rockstacker and Captain Ahab, with varying levels of difficulty, but it is generally reserved for experienced bikers. You can expect rough terrain with alternating ascents and descents, depending on the area. If you’re a mountain bikers looking to get outside of your comfort zone, shake up your routine, and overcome new and unique terrain, these biking destinations are likely to rekindle your love for the sport and keep you hungry for bigger and better alpine challenges.